Established in 1994 as Tokyo Classifieds and later re-branded as Metropolis magazine, we were one of Japan’s first English-language free papers, and we have maintained this leadership position ever since. 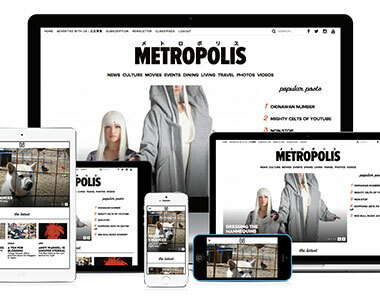 Metropolis is created by foreign writers, editors and designers for the foreign community, and this shows in the quality and usefulness of stories and information published. While there are a number of other foreign-language publications in Japan, only one magazine attracts a legion of dedicated Japan-based journalists, bloggers and pundits who are experts in their respective fields. 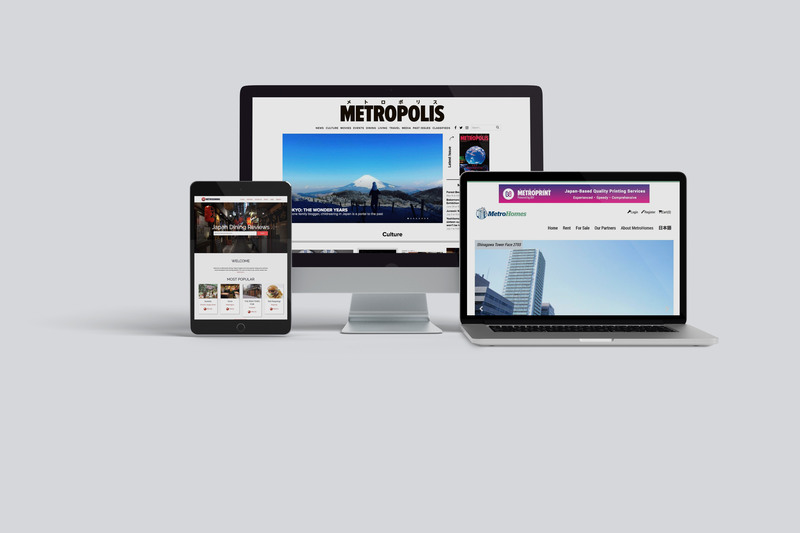 As a result, foreign readers trust Metropolis and use it as a lifestyle and information guide. Metropolis magazine moved to the web early on, and is now morphing into a full-scale community in its own right. Previously metropolis.co.jp, the metropolisjapan.com site today has more than 13,000 registered members who depend on the site for local editorial, classifieds and event listings, as well as online communities, to make their lives in Tokyo more interesting and fulfilled. MetroHomes is one of the largest web databases of English-language real estate properties located in Japan. Partnering with some of Japan's largest bilingual realtors, we are able to aggregate, classify, and offer thousands of properties for search and inquiry. Our expertise is fast, technologically competent data aggregation, search, and retrieval, and we focus on these points for MetroHomes, keeping the site simple and easy to use. One of the great aspects of life in the great metropolis of Tokyo is its food culture. If humans eat it, most likely you can buy it here. www.metrodining.jp is our first foray into crowd-sourced content and is now one of the largest guides to foreigner-friendly dining anywhere in Japan. The site also includes all major reviews of currently operating restaurants covered in Metropolis magazine back issues, meaning that many reviews are highly detailed and useful to first-timers. Metroprint offers printing support with special services and price points tailormade for businesses and individuals. We have the technology, the team and the experience to deliver fast, quality service. We are committed to customer satisfaction and providing some of the most competitive prices on the market. Our service is now being offered complete with English support. Friendly English/Japanese speaking customer support staff can guide you through the ordering process or you can order direct online.